Place enterprise-grade security on Microsoft Office documents that will persist inside and outside the company firewall. Only users you grant access can open and view protected files. It's easy to connect FileOpen encryption with Active Directory (AD), so files dropped into your AD automatically inherit the access policies set for your users. Encrypted documents will retain these permissions settings after they have left the firewall. Once authenticated, your users can access your secure files as they always have, inside the native Microsoft viewing applications, and without additional downloads, logins, or passwords. Our Microsoft Office document protection was designed to allow your IT department complete flexibility in integration and implementation. The encryption and authentication service can be hosted in the cloud by FileOpen, or on-premise at your server facility. Policies can be set according to the document, recipient group, device type or on a case-by-case basis according to permissions set in your identity management service. 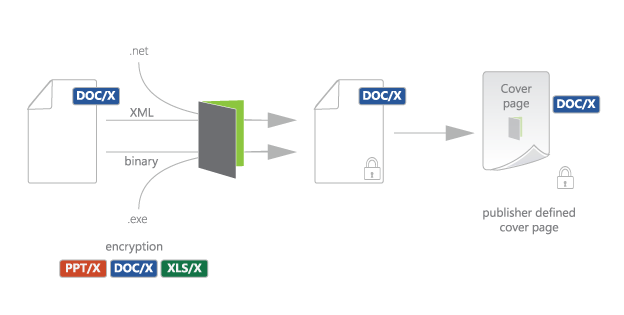 The FileOpen encryption tools (in RightsManager, RightsServer, and the FileOpen SDK) take as input an unencrypted Office file and a cover page, then return the encrypted file encapsulated into the unencrypted cover page file. The content of the cover page is created by the publisher, so can be branded. When an encrypted file is accessed in the MS Office application that does not have the FileOpen add-in loaded, Office displays the cover page (which normally contains a link to the installer for the add-in). 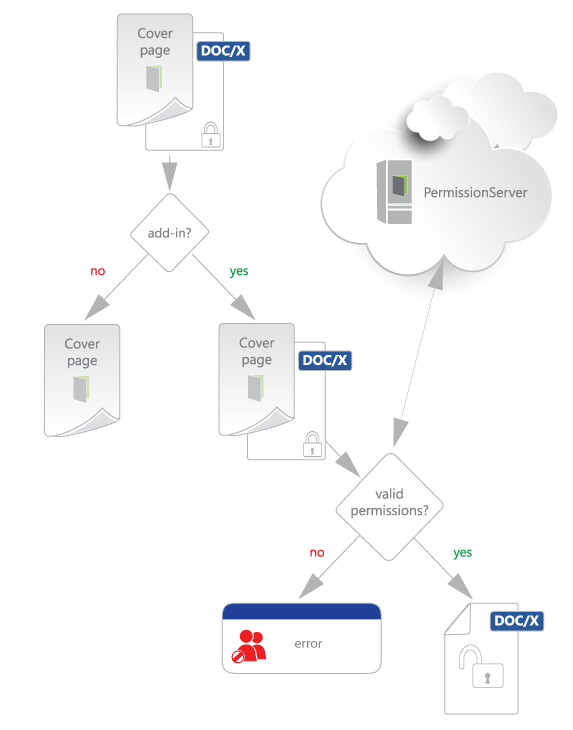 If the add-in is present, it intervenes and extracts the encrypted file from the coverpage, gets metadata from that file, contacts the referenced PermissionServer and then implements the instructions from that server, which could be display of an error message or of the file, with user/document-specific permissions and watermarks. What makes FileOpen document security different? Learn how you can secure Microsoft Office files with RightsManager, RightsServer or our Developer Toolkit.